Seth argues that Google alone is not an adequate or efficient way to find out about a topic (I'm with him so far — see the limitations of search for supporting learning). Instead he proposes the idea of a lens as a means of providing a digested, if subjective, perspective on a topic by someone who knows what they're talking about (or thinks they do). A lens doesn't pretend to deliver the complete truth, any more than a blog does. Instead, a lens says, "Here's my take on what you need to know about this topic." … The idea is simple: A lens provides meaning and the links necessary to take action on that meaning. A lens is a guide. Provide the meaning, and the surfer will go ahead and take the action. So I decided to create a lens about Werner Herzog. (His Grizzly Man film opens in the UK this Friday, and I'm going to a preview this evening.) This is the third incarnation of my 'expertise'. The first, using an old implementation of Gossamer Threads software, was created in 2001 (and hasn't been maintained since 2003); the second is on Furl, and still current. You can review all three and see which you think is most useful from a newcomer's point of view (please tell me what you think). One obvious difference is that with Squidoo I've been able to specify the order in which each link is presented, and to sort them into categories, which helps present a coherent and structured overview (with Gossamer Threads the order is alphabetical; with Furl it is alphabetical, by date added, by popularity, or by rating). I didn't use all the possible types of Squidoo content, so for a view of more of its potential, you're better off looking at Seth's own lens about himself. It's also possible to include sets of photos from Flickr, or photos with particular tags — see this example. I noticed that quite a few of the lenses have been created by mainstream media titles. For example there is a Time Out Film lens, and Rolling Stone magazine has created an REM lens. In both cases, the great majority of the links in the lenses are to the lensmasters' own publications. This creates something of a land-grab mentality, because now anyone who thinks they know something about REM, something that hasn't been published by Rolling Stone, will have to create a new lens with a less obvious URL than www.squidoo.com/rem. Squidoo seems to encourage this approach when soliciting new users. To quote from Seth's ebook: "Every lens has a unique name — a URL within Squidoo that’s like a domain. Once it’s taken, it’s gone. Sign up… so you can grab the name you want." Clearly Squidoo is a different kind of 'co-op' from Wikipedia, say, in that the expertise you make available in your lens is not subject to review, discussion or additions by others. I had some usability concerns. Some of these may be overcome as Squidoo is still in beta, but I initially found the process of creating my lens was not at all intuitive. I had to abandon the process and go and review more lenses by others before I got the hang of how I was supposed to construct my own. The Ajax interface for editing and, particularly, reordering items on my lens was sometime clumsy to use — at least on my browser (I think the editing window is longer than it needs to be, and that contributed to my difficulties). Finally, to come back to Squidoo's claim to be a Web 2.0 service, as mentioned in my introduction. 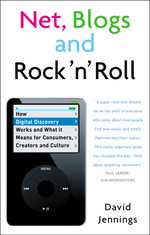 Seth Godin writes (again in the free ebook), "The structured nature of Web 2.0, combined with the folksonomy of tags, makes a lens the perfect middleman between the content and expertise you’ve already got, and the surfers you’ve never met". Which I don't argue with as a claim, but I do wonder — with all the talk about syndication and structured content being at the heart of Web 2.0 — why is it that I seem to spend so much of my time copying and pasting between Web 2.0 services? I beta-tested Squidoo and was quite disappointed. I think it's fundamentally flawed. Most people are going to put up links to information that won't change much (ever?) once they're in place. Many links will soon become out of date (link rot). The easiest way to update content is from one's own blog (or other people's RSS feeds) - but then how is that an improvement over having one's own blog in the first place? NB Squidoo is not a blogging tool, so you wouldn't think of, say, transferring your whole blogging activity there. But the main failing seems to be that, as a list of links, text content and incoming RSS feeds, it fails because it's so easy for any one lensmaster to clone the successful lenses. How, then, can any one lens financially outperform any other (which is main reason to participate)?